Examples and lessons from some of the world's most successfulbusinesses, including Amazon.com, EDS, Honda and Nissan, and ideasfrom the smartest thinkers, including Edgar Schein, Charles Handy,Geert Hofstede and Gareth Morgan. 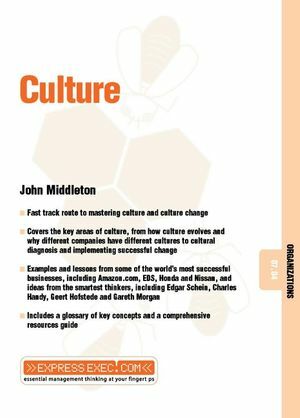 JOHN MIDDLETON is the founder of the Bristol Management Research Centre. He also edits and publishes Future Filter, a bi-monthly business digest. Recognized as a visionary business thinker, he works as a coach and consultant with individuals and organizations that are trying to make best sense of the future.